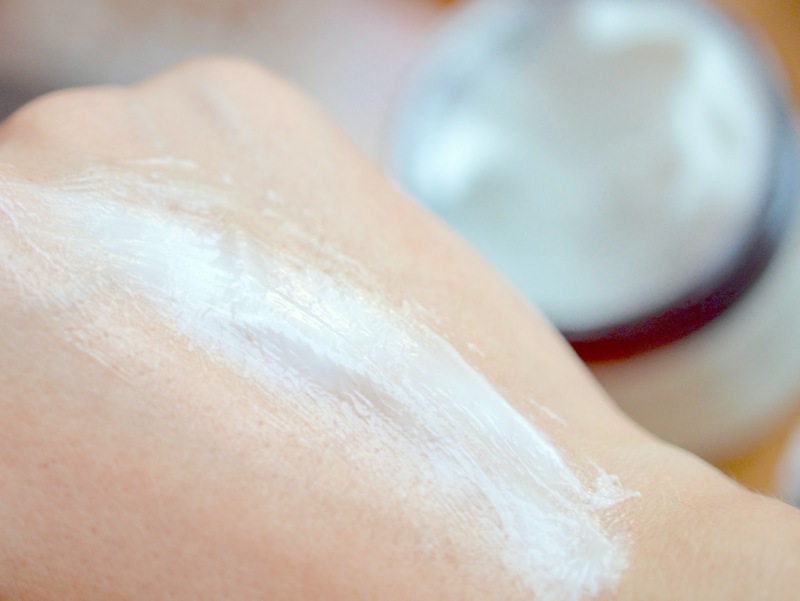 This lotion is lightweight and great for all skin types. Loaded with Vitamin C, it will help brighten your skin tone and diminish dark spots over time. You will notice a smooth texture after your first application and hydration levels will increase. Apply AM & PM everyday and this product will last you 3-5 months. I love using this moisturizer in the morning, as it works very well under makeup. The pump is so efficient at dispensing the perfect amount for one application. Best part? There is no fragrance. And not in any of the following products either! Ah, a water-like serum with healing and soothing properties. Studies have shown that Vitamin C can actually help kill the bacteria that causes acne, while reducing inflammation and brightening skin tone. In addition, this serum has hyaluronic acid (read more here), which will help boost the skin’s moisture barrier and prevent moisture loss. Serum is crucial in your routine as it is the vehicle to pull the active ingredients into the skin’s layers. This also makes for a lovely morning moisturizer when you need only a touch of nourishment. 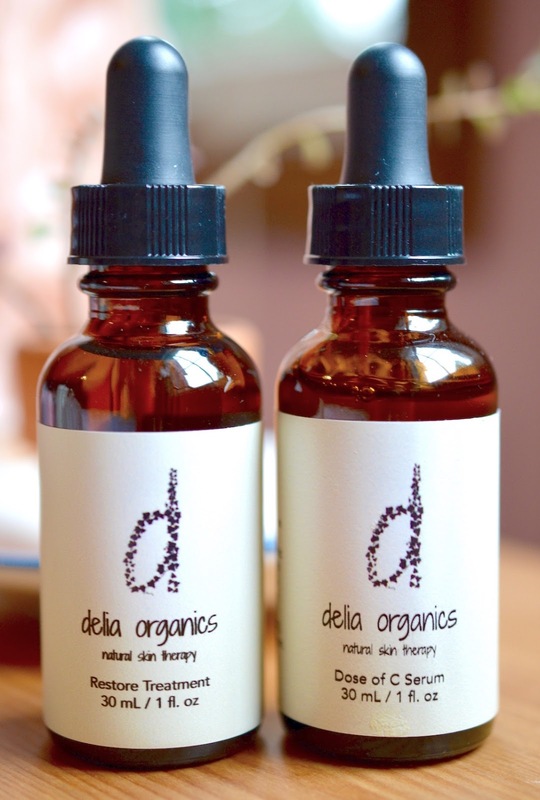 This oil blend includes grapeseed, avocado and jojoba oils which have natural antioxidants and repairing fatty acids to combat UV exposure and minor imperfections. Massage this oil blend into your cleansed skin at night time (routine here) to increase circulation for optimal rejuvenation. Great for all skin types, and very effective after a masque treatment like the Clear Sailing Masque below. I tried this mask a few times, and quickly realized that it is a bit too potent for my sensitive skin. I cannot use any products that contain glycolic acid on and around my T-zone, so I will continue to use this mask on my arms and back to smooth out any textured areas. I was so touched by the hand-written card and little recipe cards that came with my package. If you were wondering, these teas are delicious. 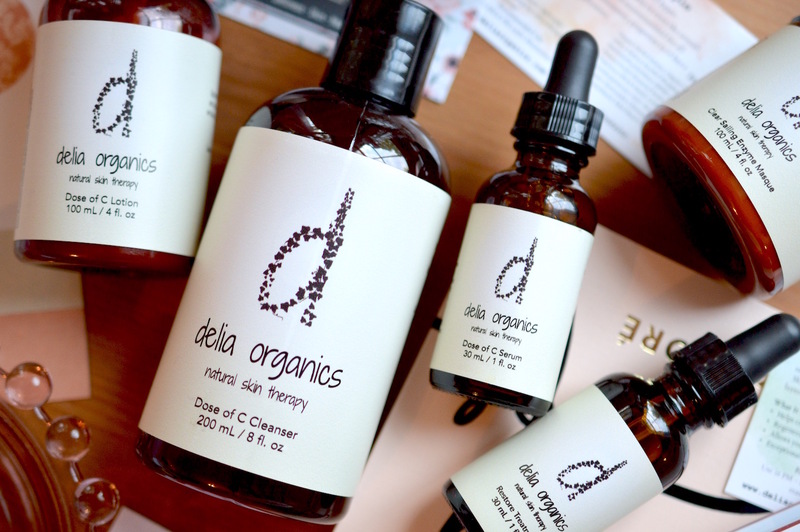 Alicia, the founder of Delia Organics, has put so much time and effort into her brand, which has definitely payed off. I'm a fan! 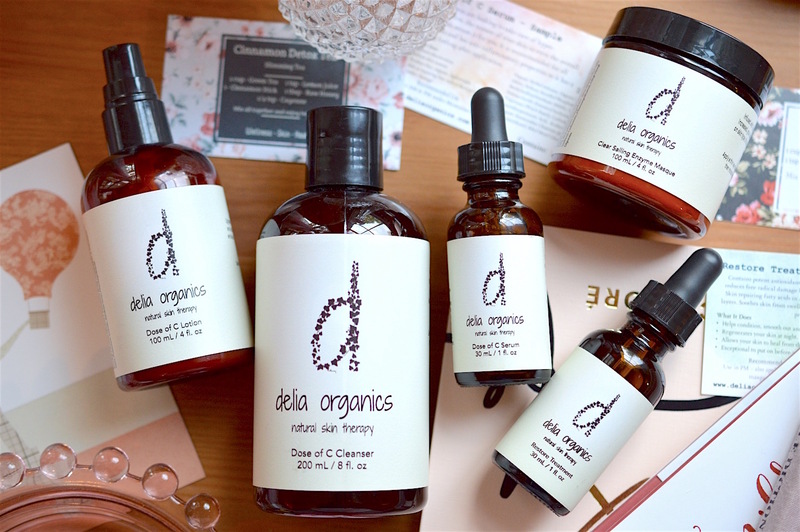 Discover the entire Delia Organics collection online here, and check out some more reviews here.